Our beautiful city of Madison, Wisconsin is home to great schools, arts and culture, gorgeous lakes, and breathtaking natural scenery. Luckily, Madison’s residential architecture is equally as varied and exquisite. If you’re looking for certain home architecture styles or want to get brushed up on what kinds of common architectural styles are available in Wisconsin’s capital city, this is your guide. Originated in California in the 1880s, this style moved to the Midwest and remains a popular style with its trademarks: low-pitched roofs and charming covered porches. Bungalows are often found on Madison’s up-and-coming east side, but keep an eye out and you’ll be likely to find one in any neighborhood you desire. 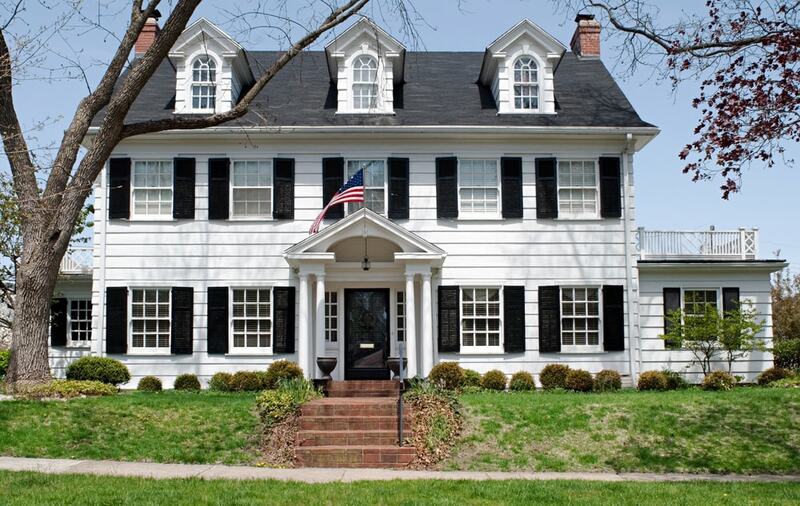 If a home has lots of symmetry, a central hall, and double-hung windows, it’s probably a colonial style. The colonial style has been revived through many periods and related styles, including Cape Cod, Saltbox, and Dutch Colonial, so it’s clear: Colonial will never go out of style. You can find historic colonials pretty much anywhere in Madison, but look in surrounding communities Verona and Middleton for newer colonial homes. Strong angles and mixed materials are hallmarks of the contemporary home, and mid-century modern is a contemporary style that’s particularly popular in Madison. The west side of the city near the Arboretum and Shorewood Hills are loaded with contemporary properties. The Prairie School of architecture is one of the Midwest’s most distinctive styles, and the most famous architect of that style, Frank Lloyd Wright, was a famous Madison resident and UW-Madison alumnus. The style is characterized by horizontal lines, flat or hipped roofs with broad eves, and geometric, stained glass windows. Downtown, the west side, and Middleton are all home to Prairie style homes. Once the American public traded horses and buggies for buses and cars, they were able to expand and commute longer distances to bigger lots. That change led to the ranch home, with its one-story, pitched-roof construction, attached garages, picture windows, and expansive patios. Find this popular home architecture style throughout the city! Interested in one of these home architecture styles? Our real estate experts know domestic architecture and design top to bottom and would love to match you with your dream home in Madison and its surrounding cities. Contact us online today!